Why is Doritos Called Doritos? When you’re born at the “happiest place on earth,” you know you are destined for greatness, even if you are a food. This is exactly where the famous and beloved brand Doritos got its start. Doritos became the number one selling chip for Frito Lays, accounting for over 1/3 its sales, but how did this potato chip get its start? In the 1960’s, a popular Mexican restaurant named Casa de Fritos in Disneyland got a tip from one of its vendors. Instead of throwing out the scraps or unwanted tortillas that the cooks didn’t use, one of their Alex Foods reps challenged the cooks to fry them and sell them as chips. Which is exactly what they did. Within a short time, this new food was all the rage at the Disneyland restaurant. It created such a reputation that a Frito-Lay marketing rep got wind of this new chip and had to go see it for himself. After a quick visit to Casa de Fritos, the Frito-Lays executive started planning a national roll out for the snack. Finally, in 1966, the brand we all know and love hit the grocery shelves in America. Originally, the orders were produced and filled regionally by Alex Foods until demand became so high that the vendor could no longer keep up. At this point, production of the Doritos brand was moved to the Frito-Lay’s factory in Tulsa, Oklahoma. Why is it Called Doritos? After the rollout of the 1972 “nacho cheese” flavor, Dorito decided it was time to be bold and try something new. In 1986, the company released the “cool ranch” flavor. 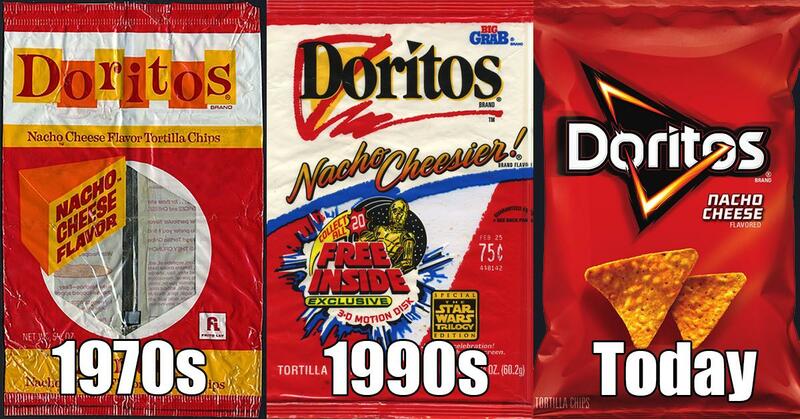 The flavor was a huge hit and by 1992, Doritos was one of the top snack brands. Most companies would have taken their foot of the gas after this new hit, but Frito-Lays decided it was time to reformulate the nacho cheese flavor. This reinvention was another home run for Frito-Lays. By 1994, Doritos were producing 1.3 billion in sales and were the number one snack food in America by sales revenue and bags purchased. So here we are in 2018, and Doritos is still the most purchased Tortilla chip on the market. Reporting roughly 2 billion plus in sales, it is without a doubt a staple in households across the United States. So where does this innovative brand go from here? In 2008, Frito-Lays partnered with the European Space Station in the Arctic Circle (EISCAT) to send out the world’s first interstellar advertisement. This message was pulsed out over 6 hours to Ursa Major and was the first attempt to advertise to alien life forms. I guess that’s one mission I did not see coming! Chris Morris is a freelance writer with a double minor in Advanced Writing and Corporate Communications. He’s consulted for a diverse set of industries, including electronics, retail sales, vending, commercial services, animal care products, religious organizations and more!